Elected officials across the globe were sent into a frenzy on Thursday after the Trump Administration handed down new tariffs on Canada, the European Union, and Mexico. President Trump faced backlash in Congress on both sides of the aisle and elected officials in the European Union issued hundreds of statements condemning the tariffs. Here are two word clouds summarizing the response from Congress and the EU in the 48 hours following President Trump's decision. Learn how your organization can monitor conversations in Europe with Quorum EU. EU officials focused on the World Trade Organization (WTO), trade war, and #Trump. 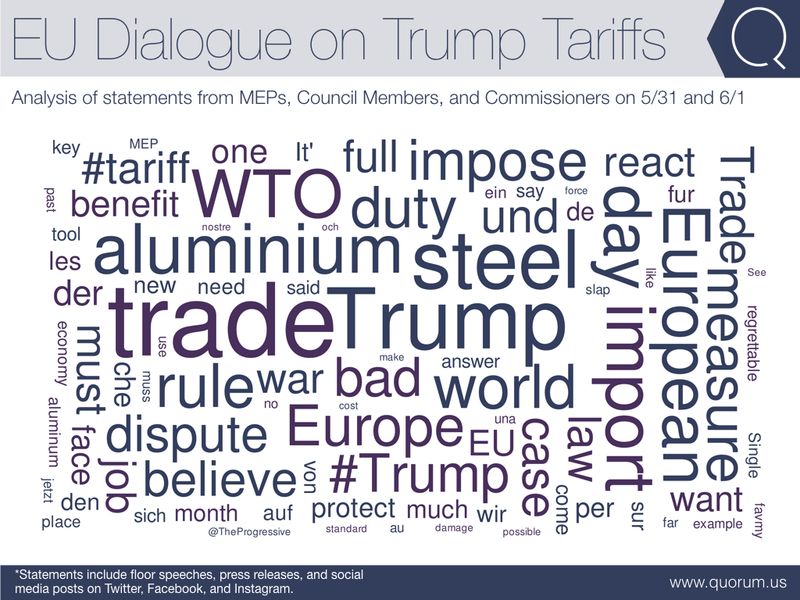 More than 400 statements poured in from EU officials in response to President Trump's tariffs. Europeans called for retaliatory action, accused the US of violating WTO rules, and used #Trump as part of the trending conversation. Congress focused on China, trade war, and relationships with allies. 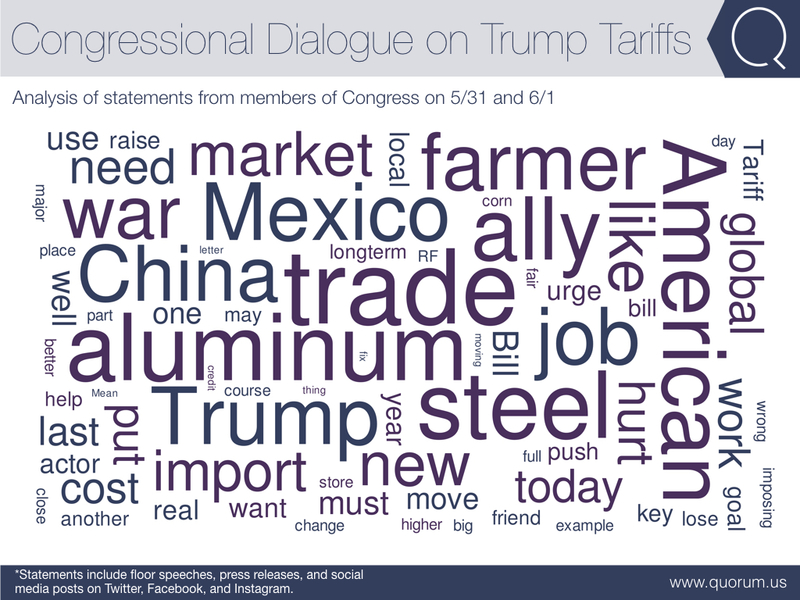 Since Thursday morning, members of Congress have released near 250 statements in response to the new tariffs. Democrats and Republicans both warned of a looming trade war, questioned why China was not a target of the tariffs, and reiterated the importance of trade relationships in Canada, Mexico, and the EU, despite the president's actions.